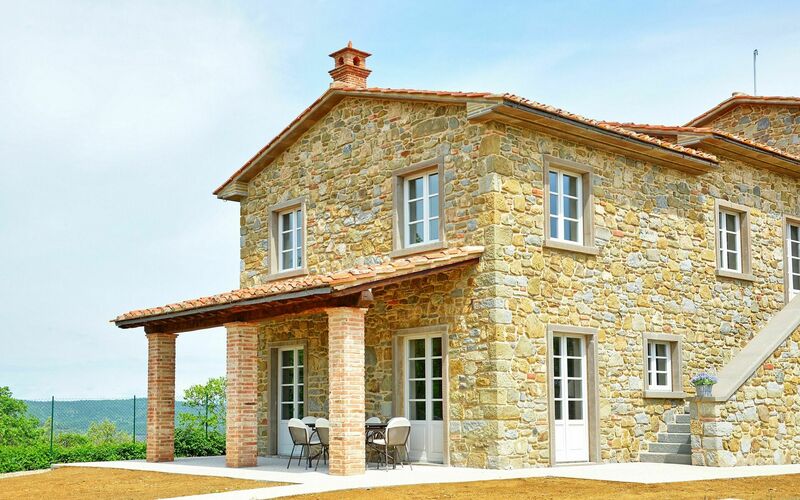 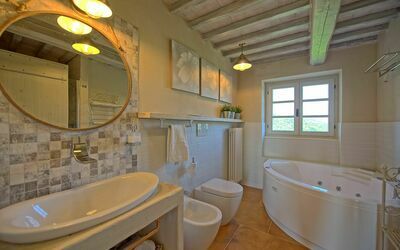 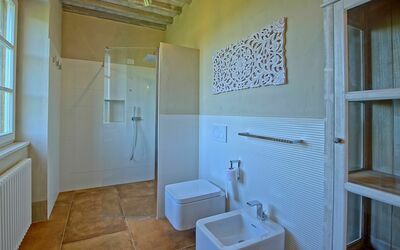 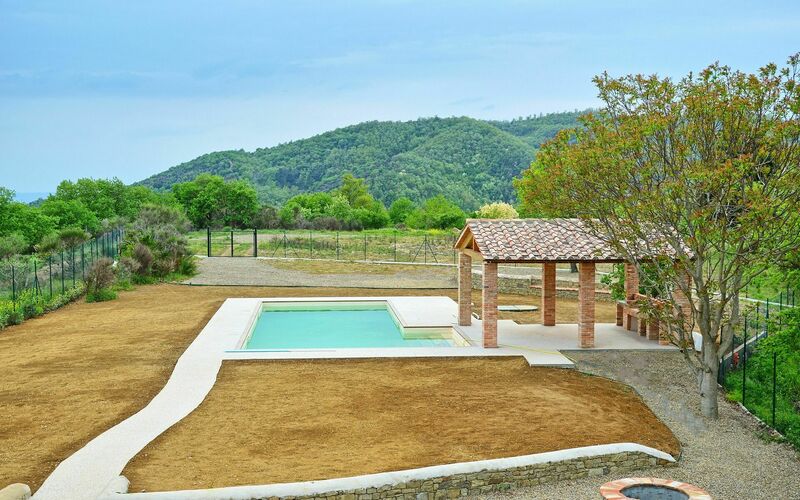 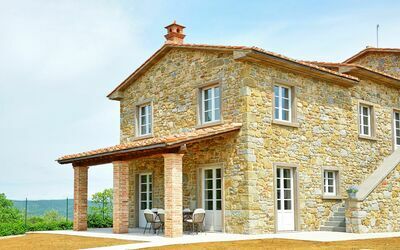 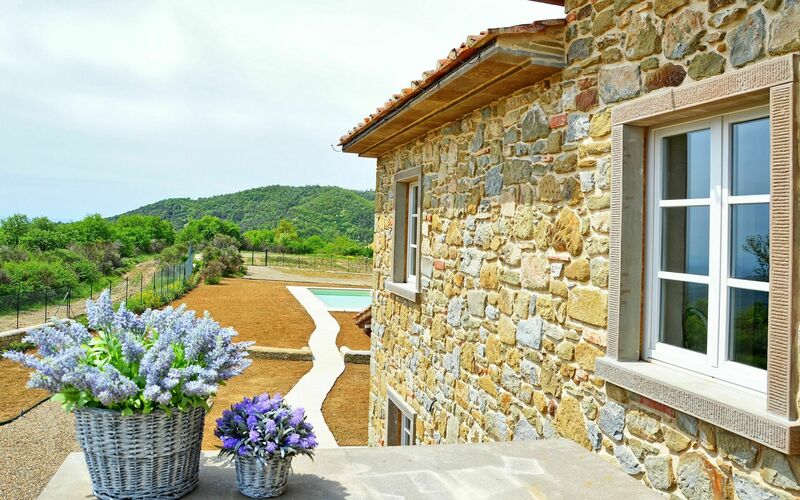 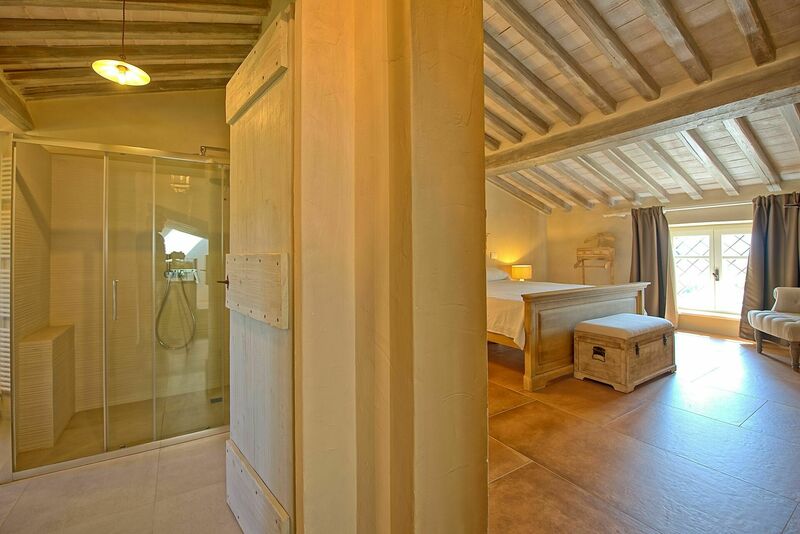 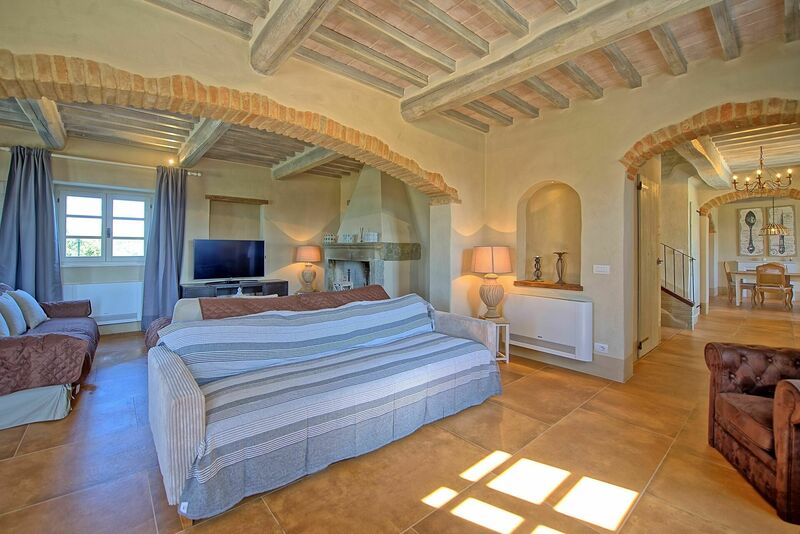 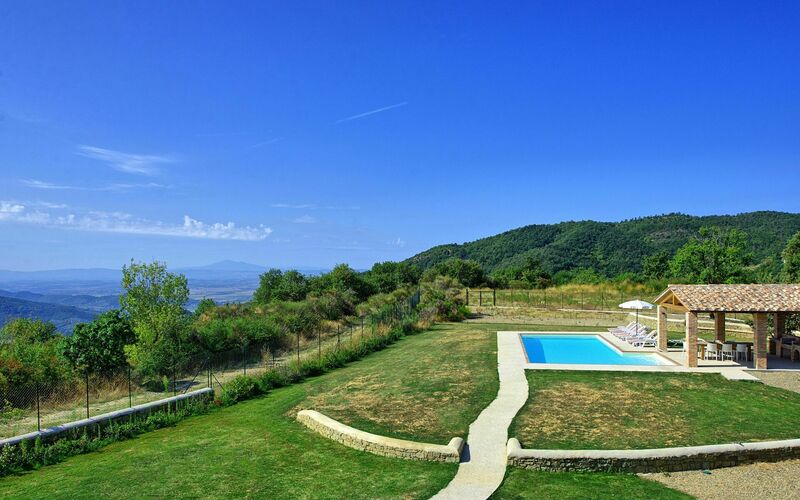 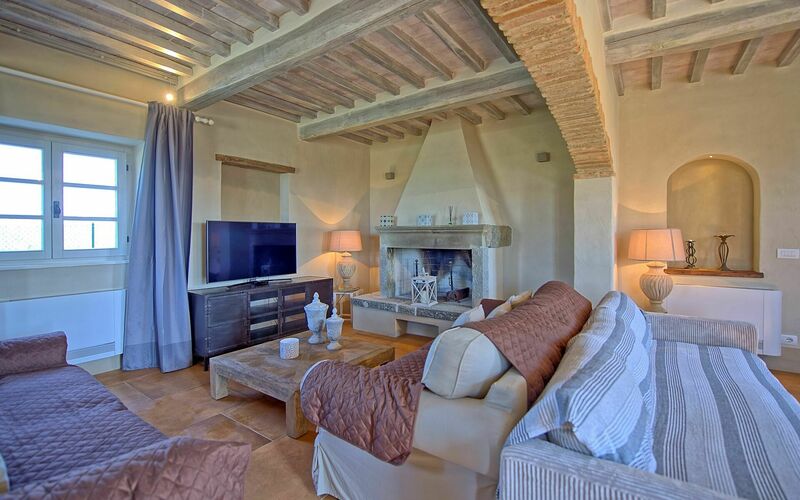 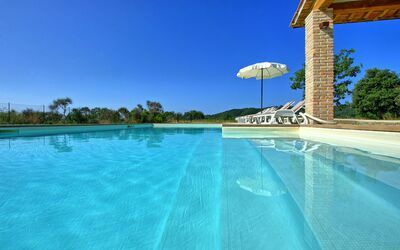 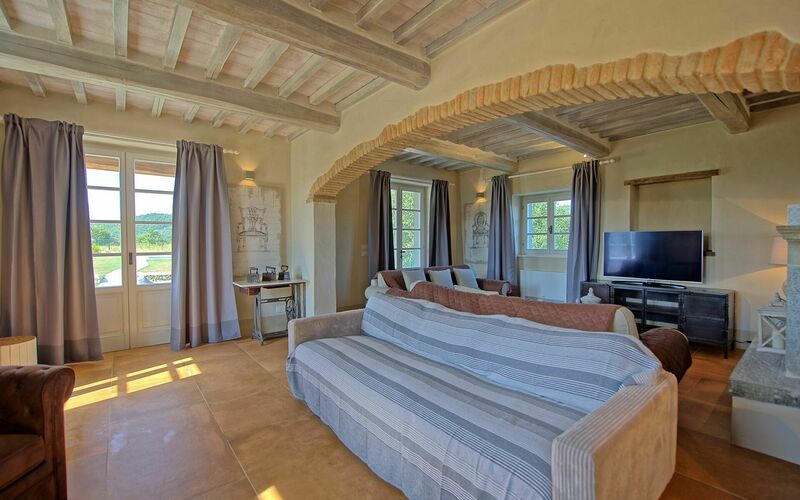 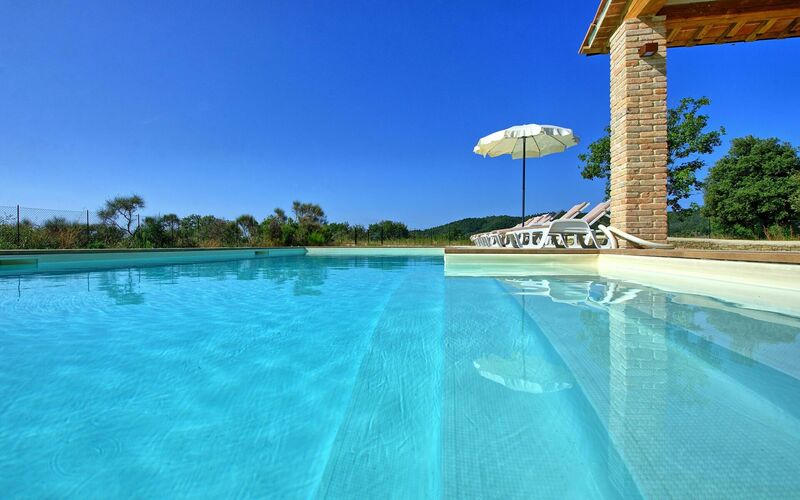 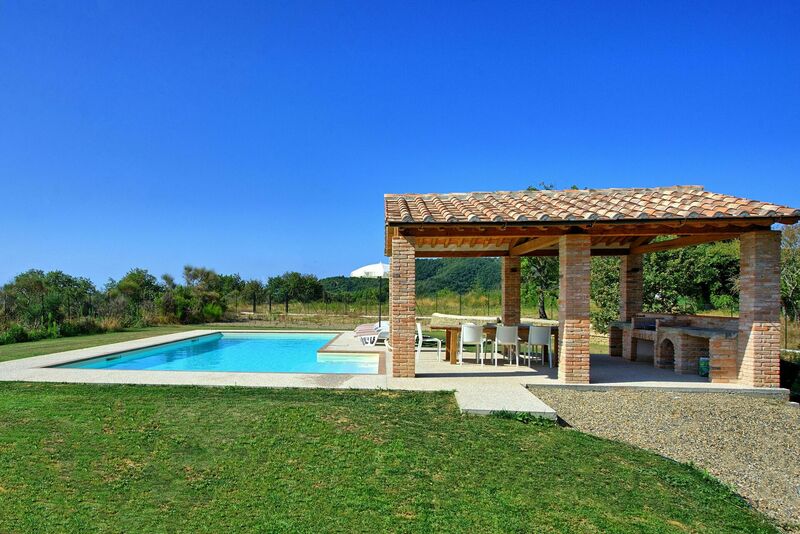 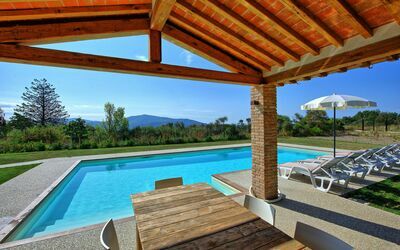 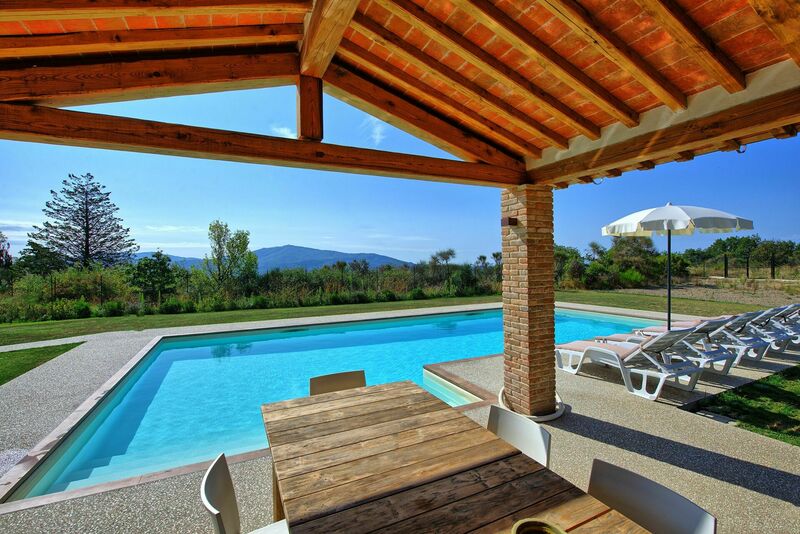 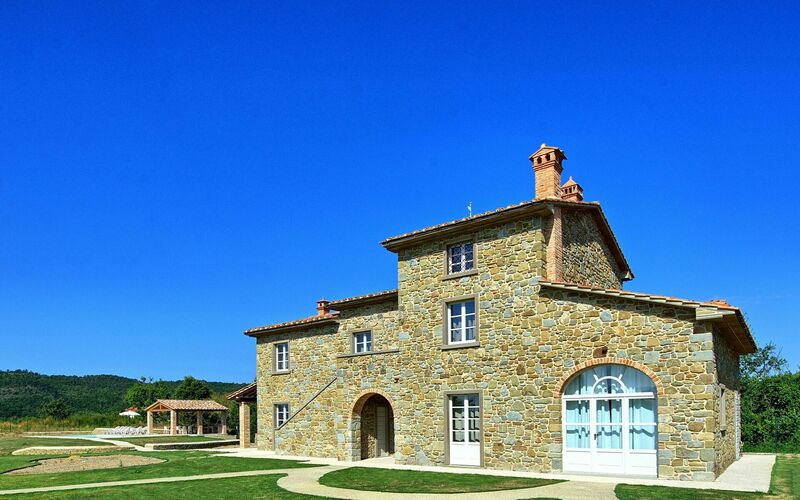 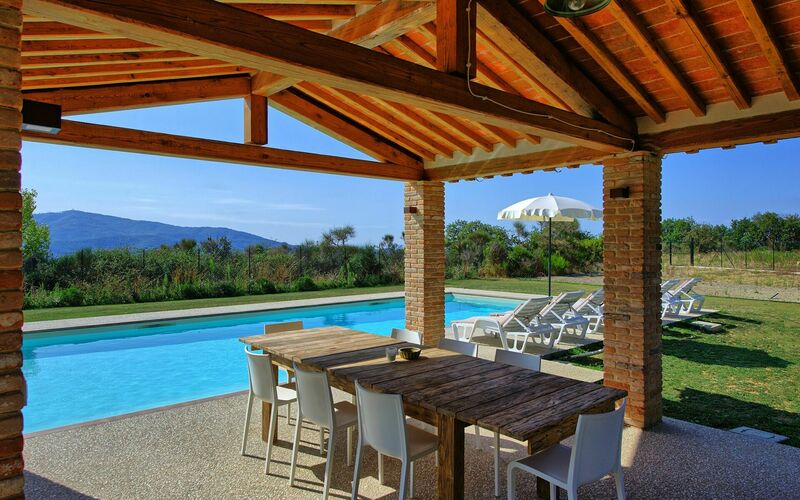 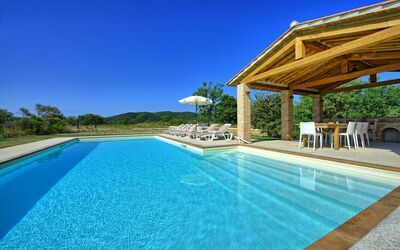 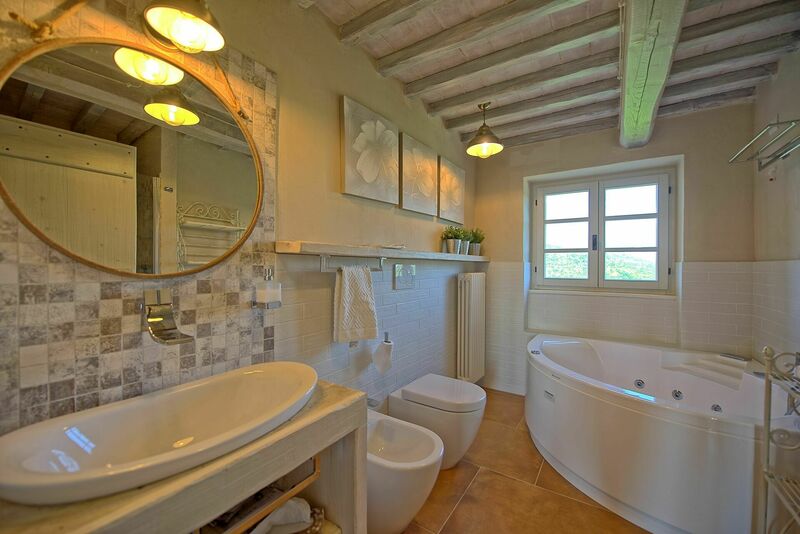 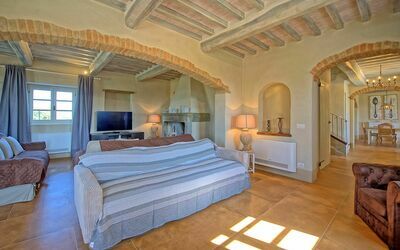 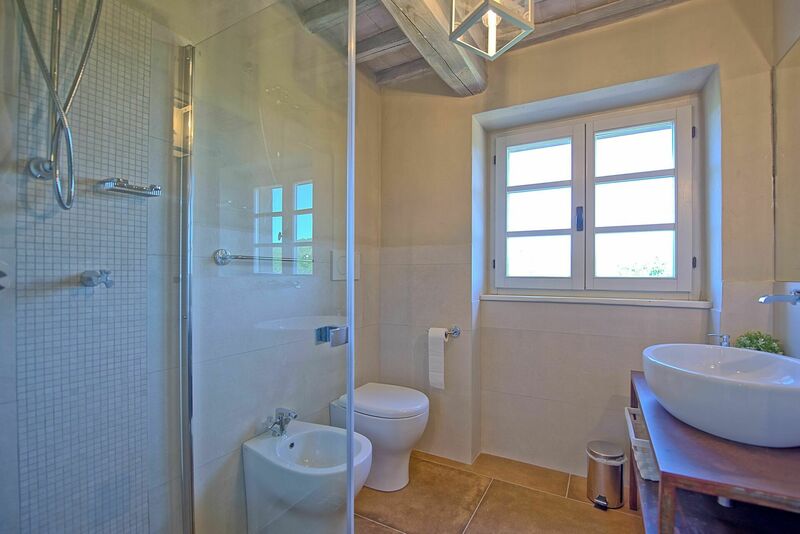 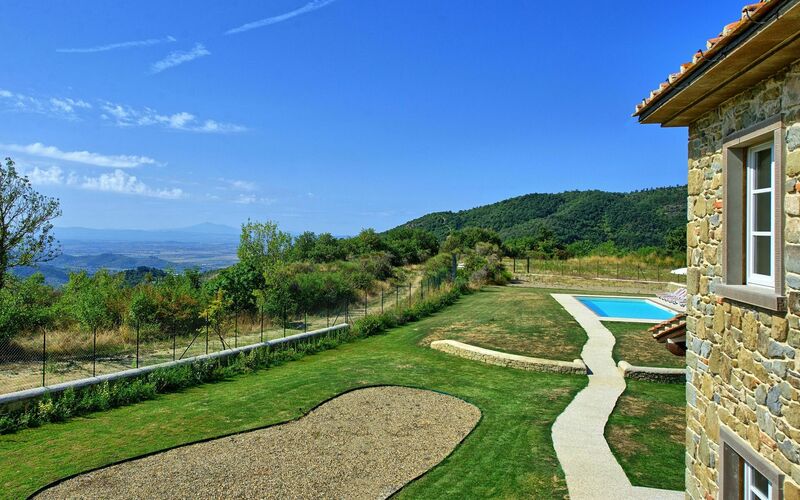 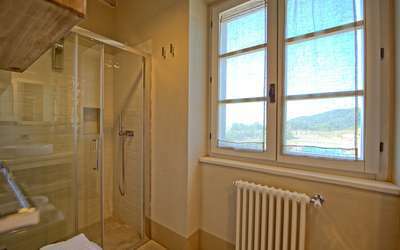 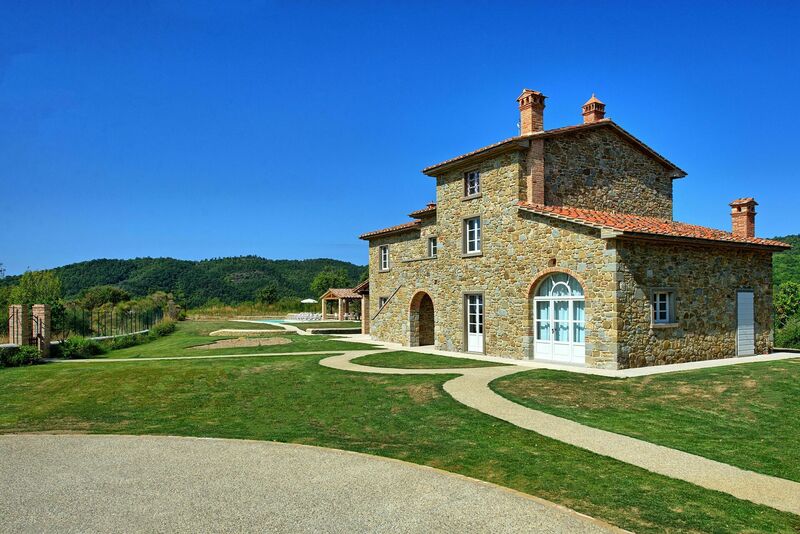 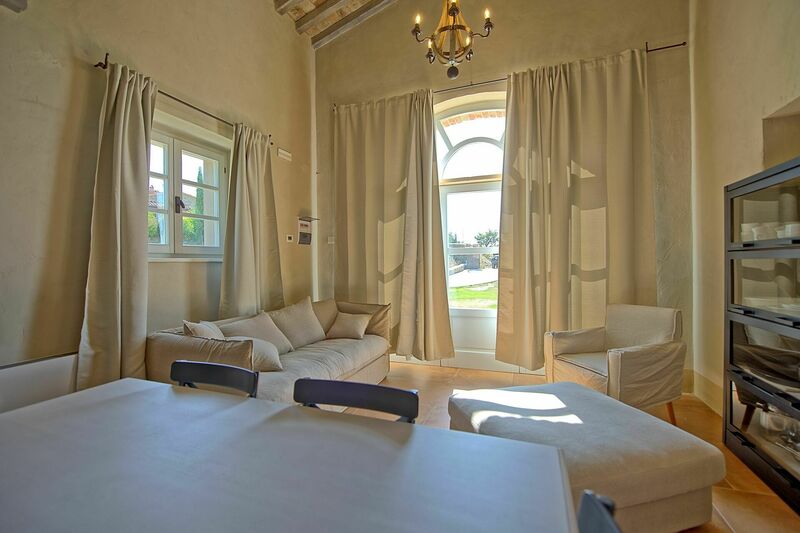 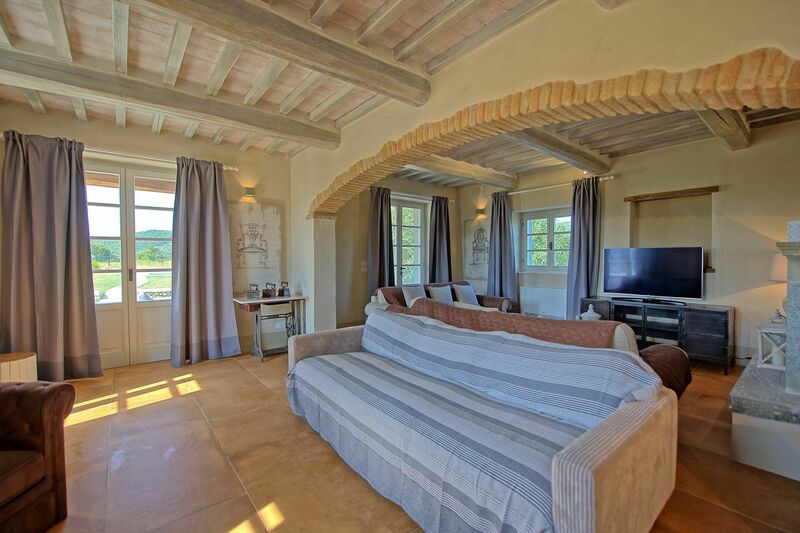 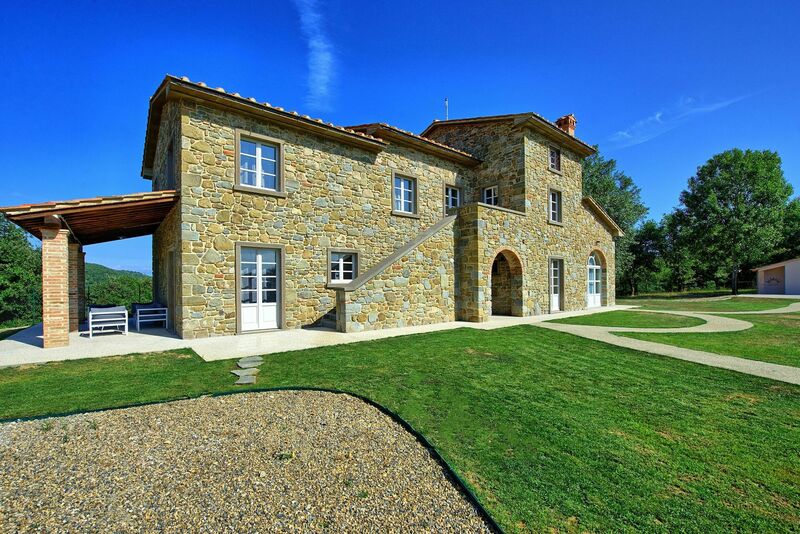 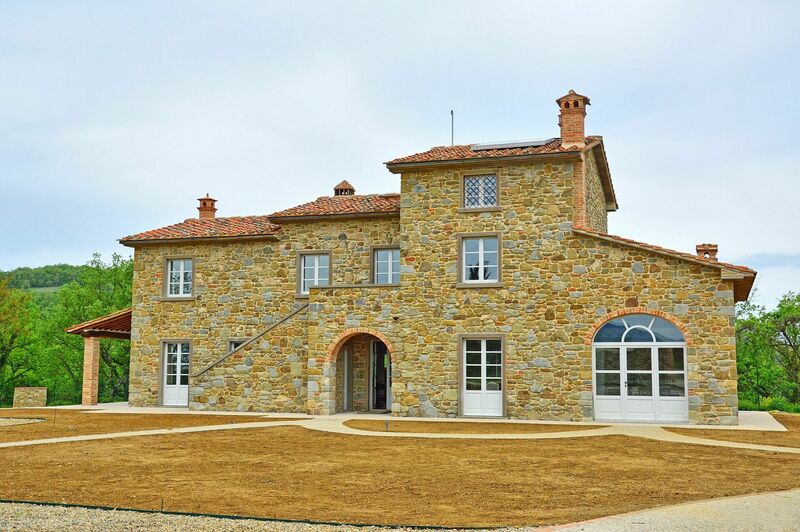 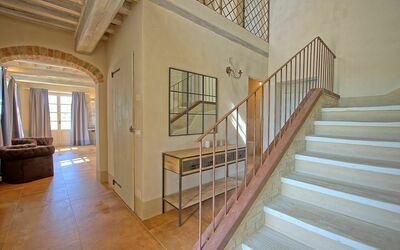 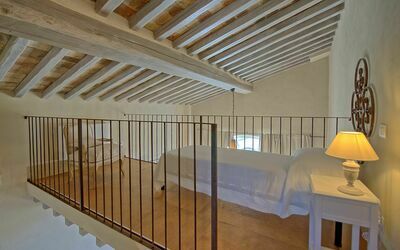 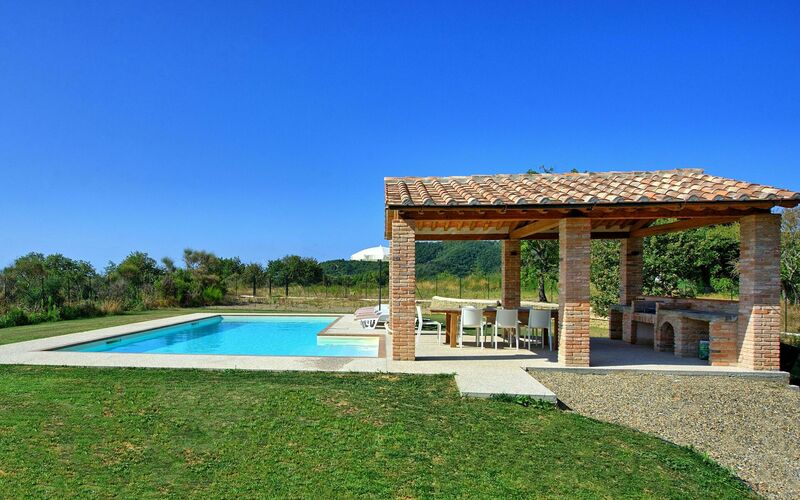 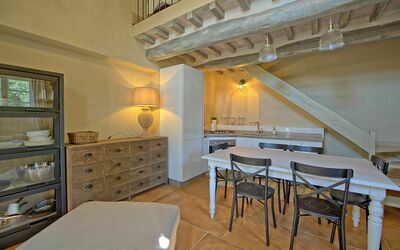 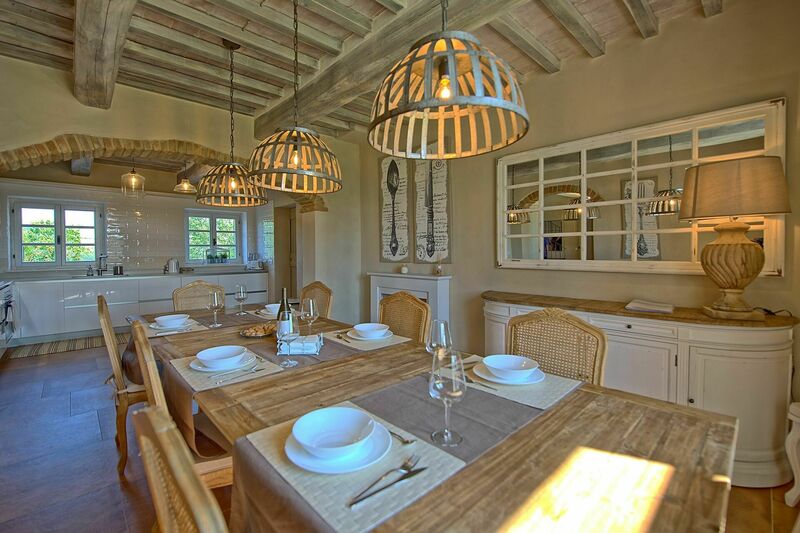 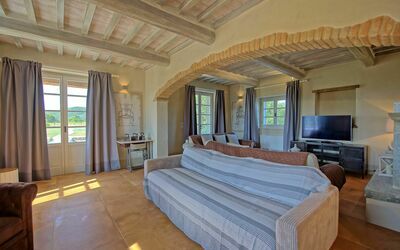 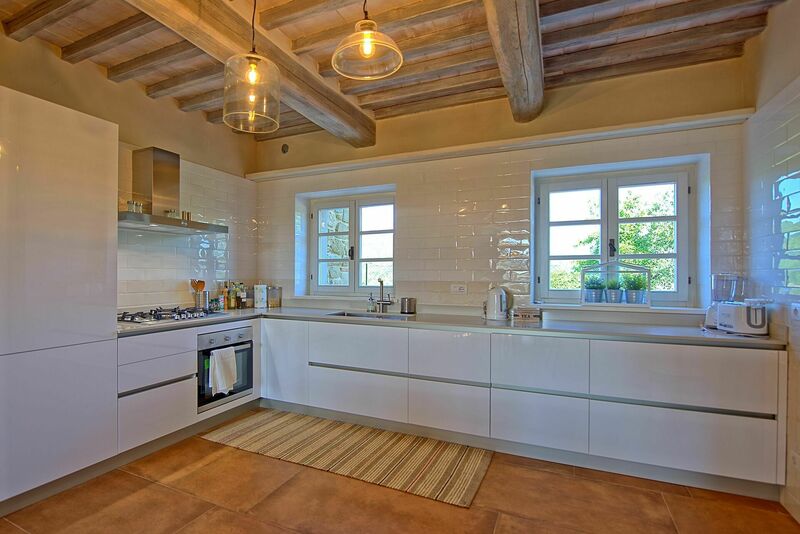 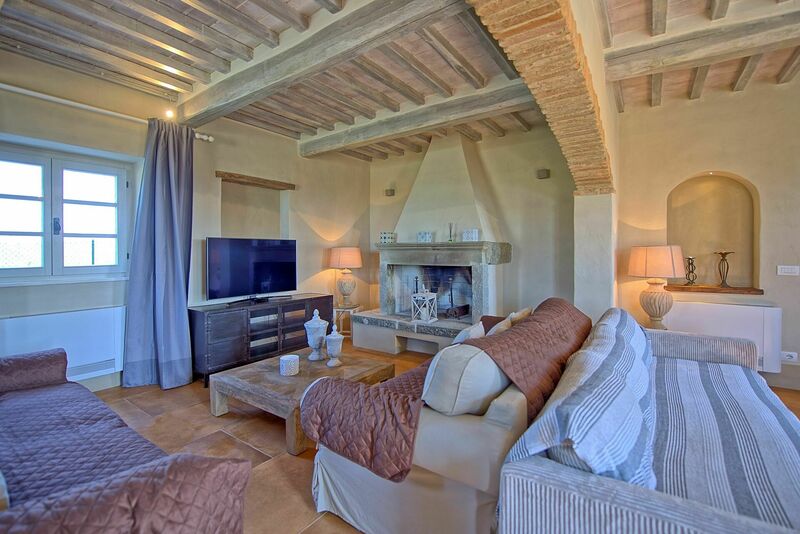 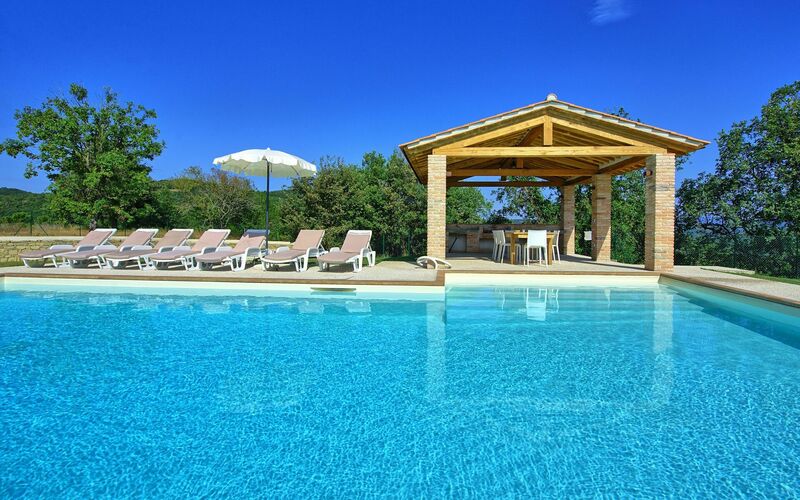 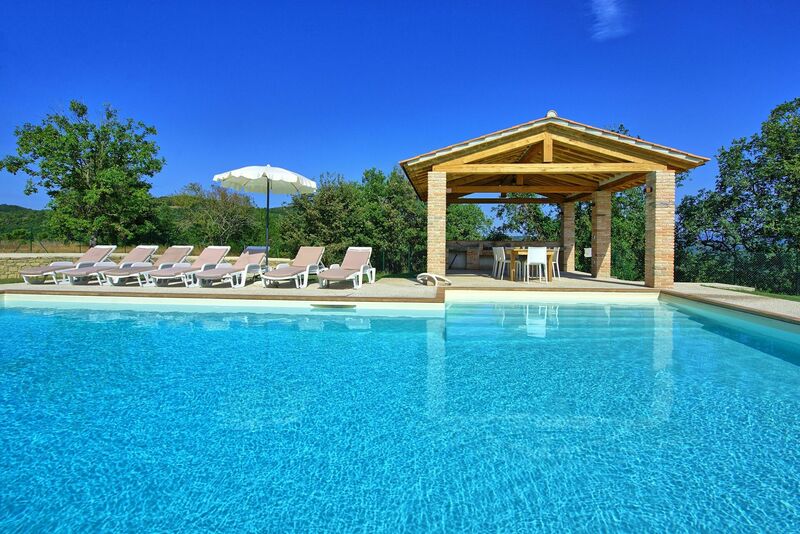 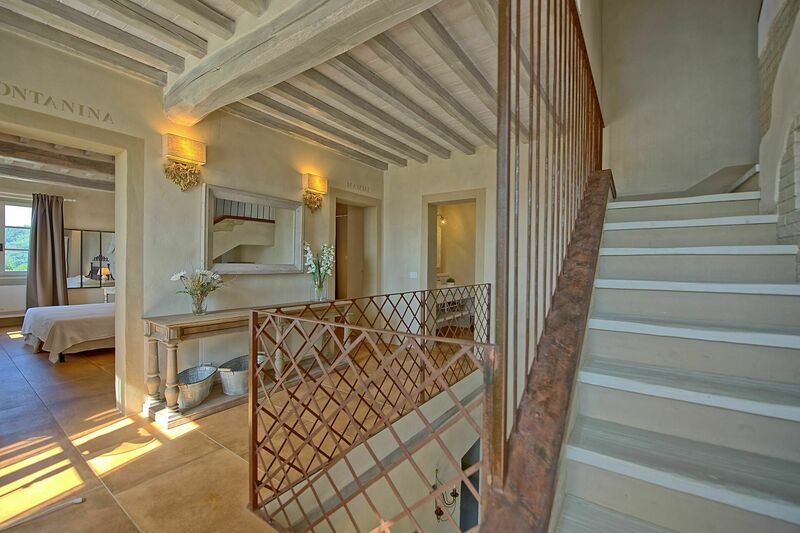 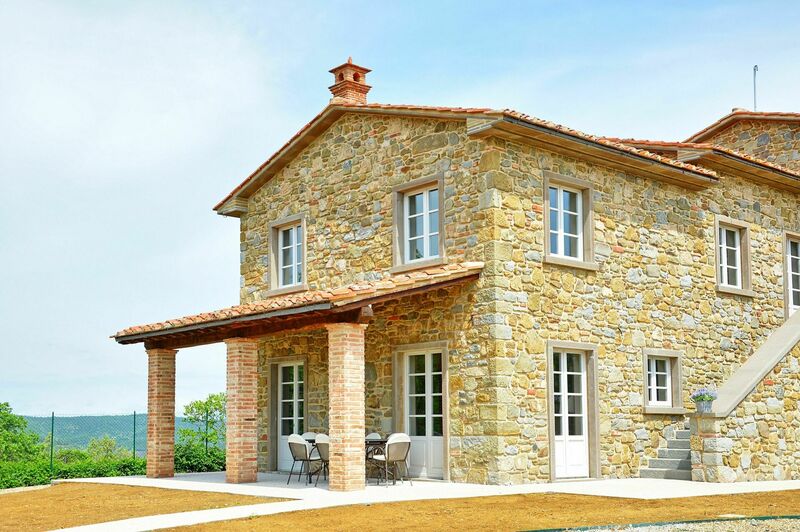 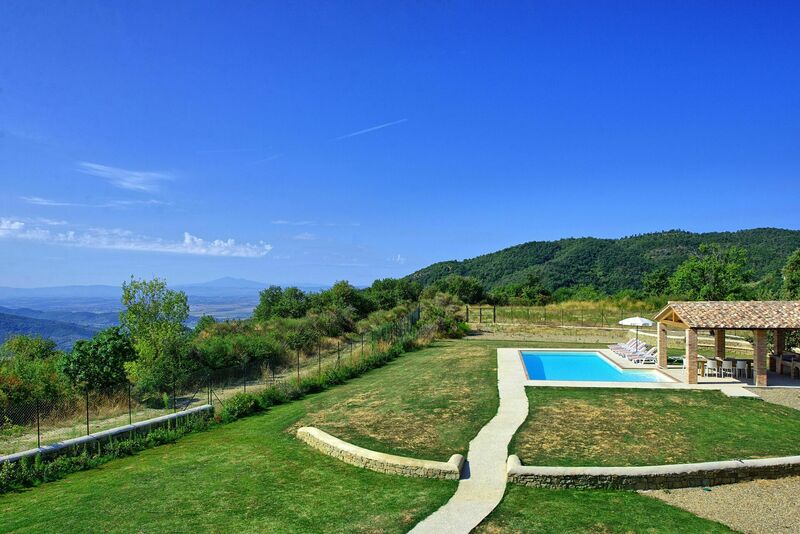 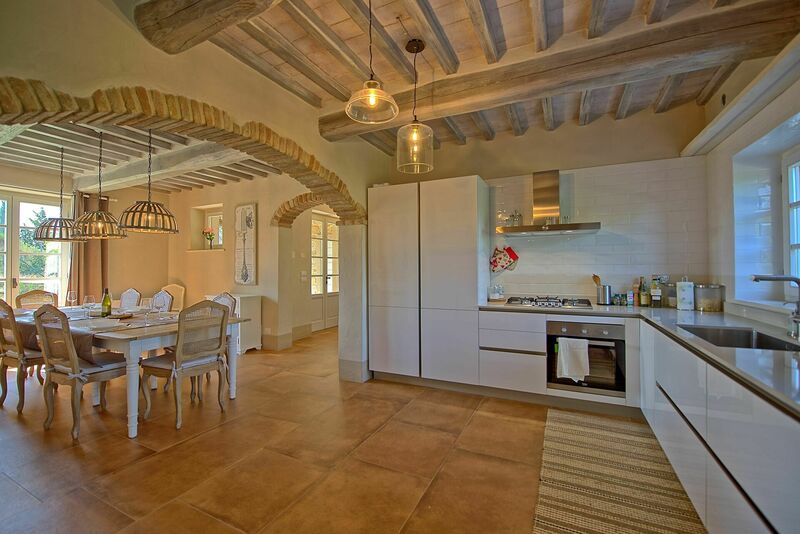 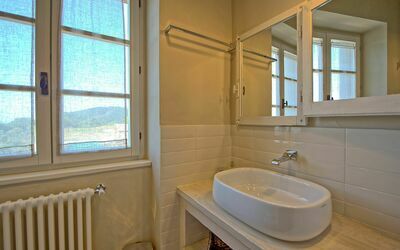 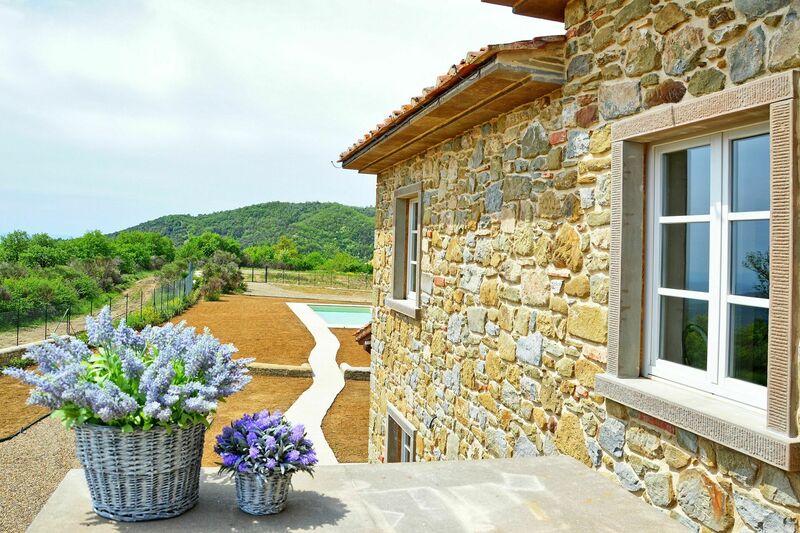 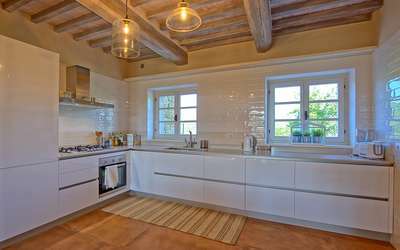 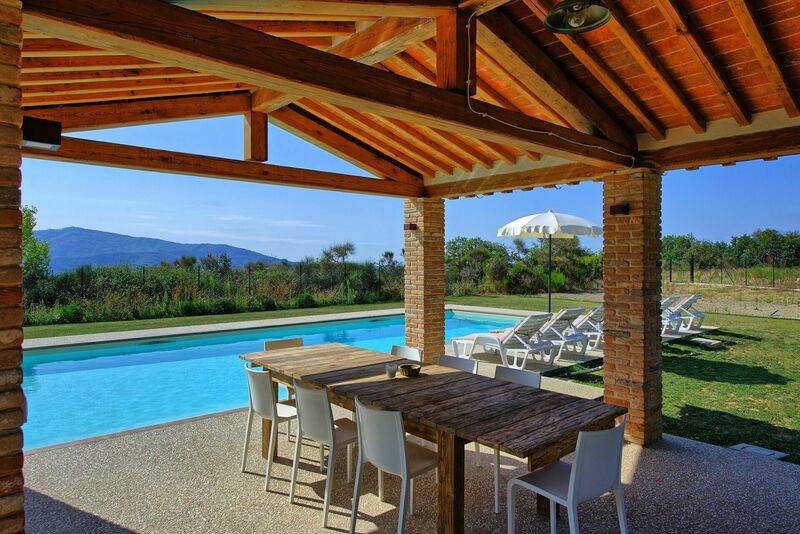 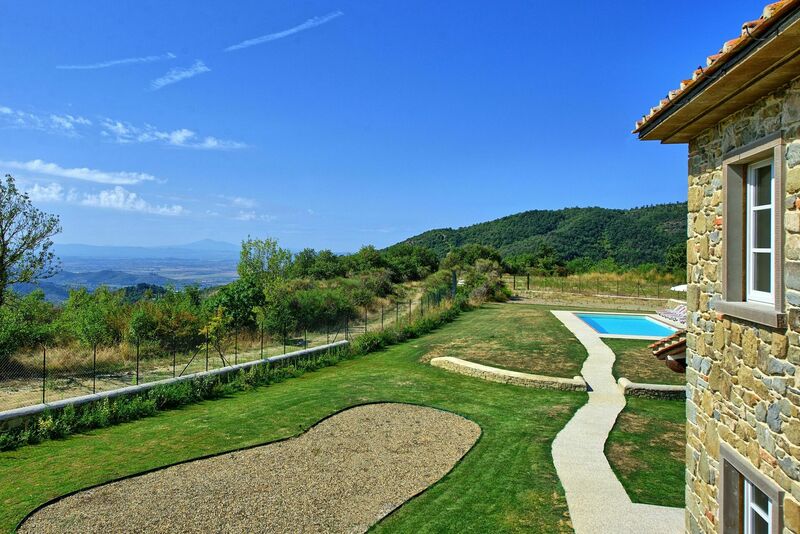 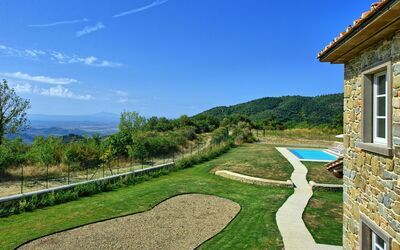 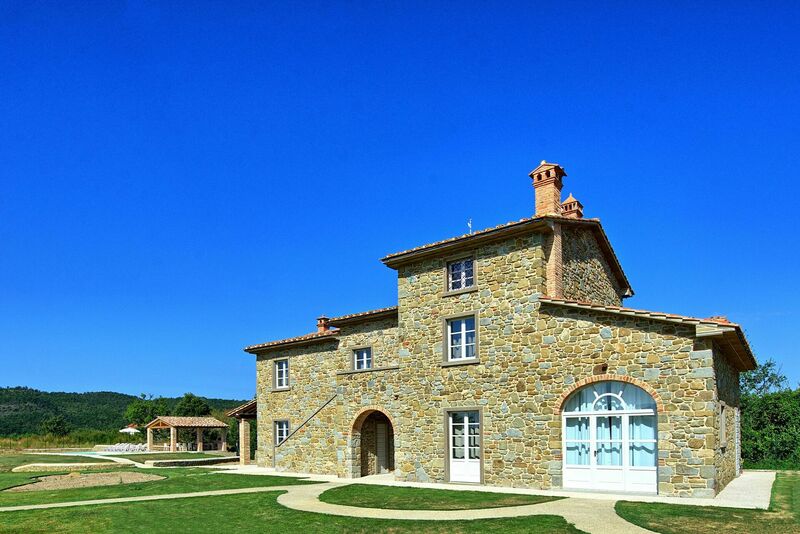 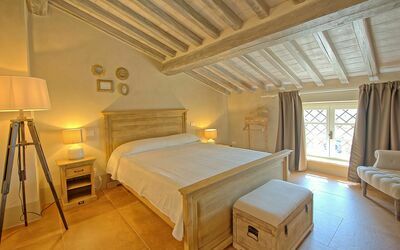 Beautiful new villa with private swimming pool situated close to Castiglion Fiorentino, not far from Cortona and Arezzo. The property finished construction in 2018 and offers welcoming interiors and nice outdoor areas. 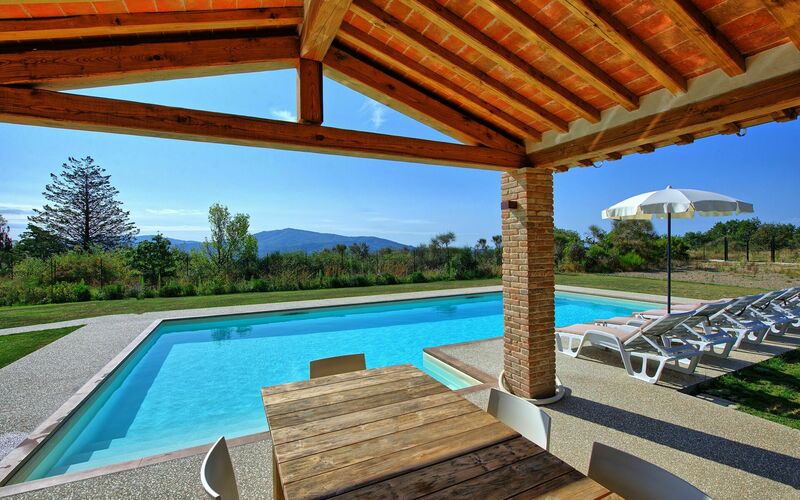 A large garden circles the villa and hosts an exclusive private swimming pool. Guests can also enjoy a patio with table and chairs for al-fresco dining. 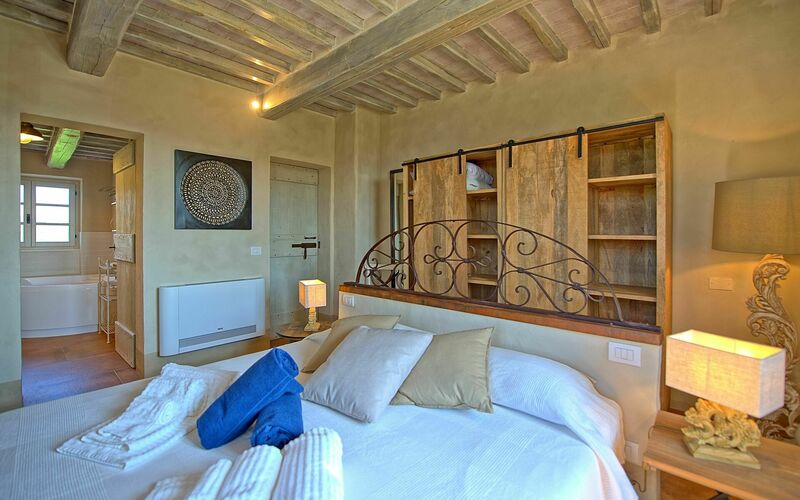 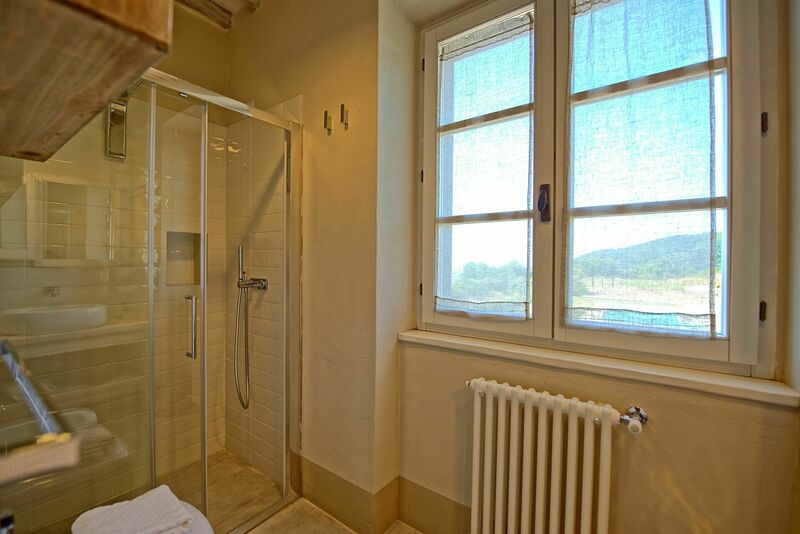 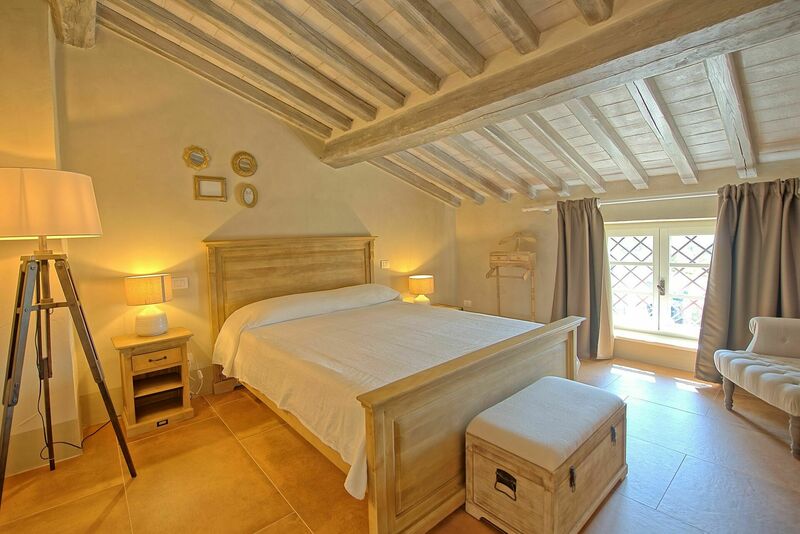 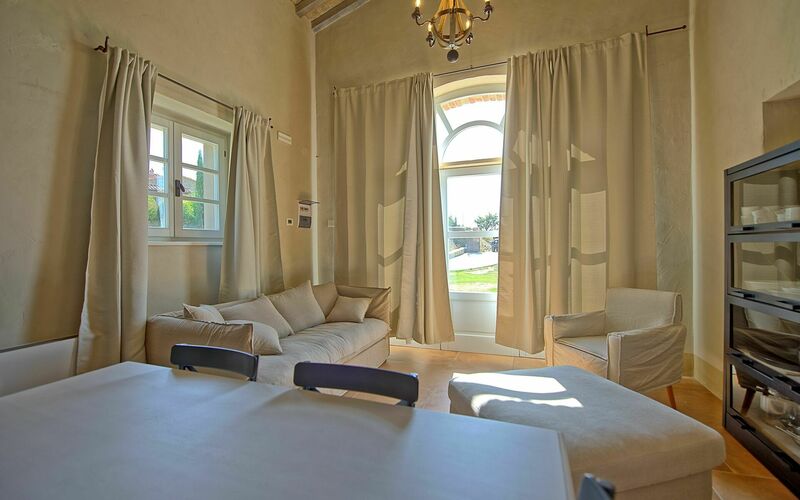 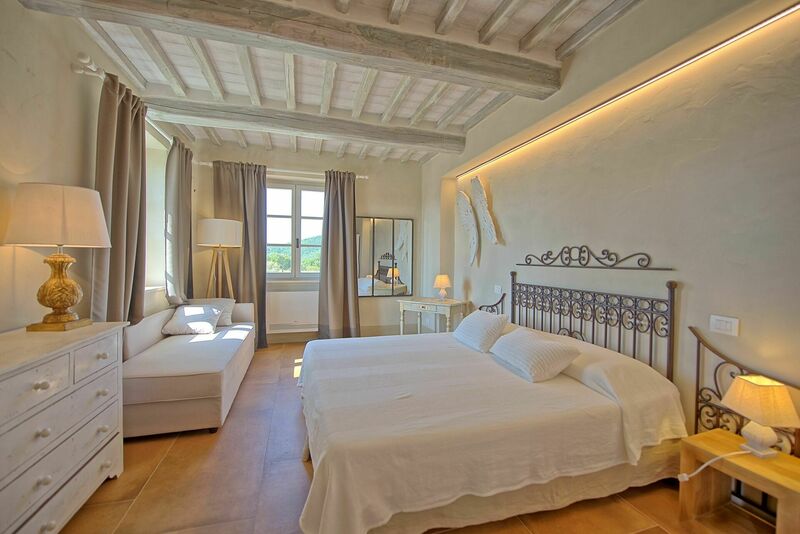 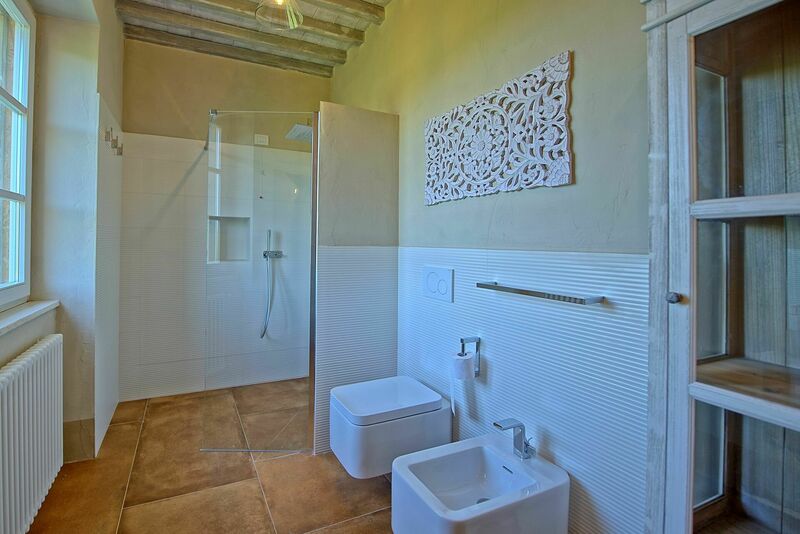 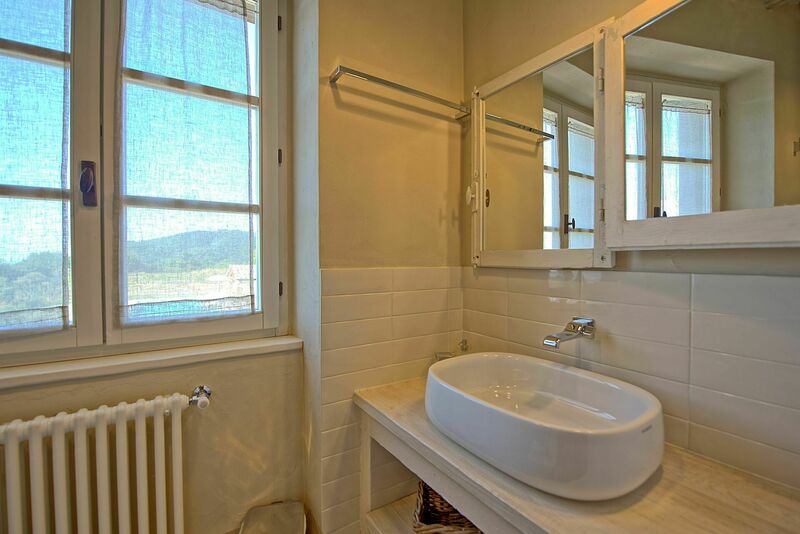 The property’s great location makes for easy visiting to the best of art and culture offered by Tuscany and Umbria. 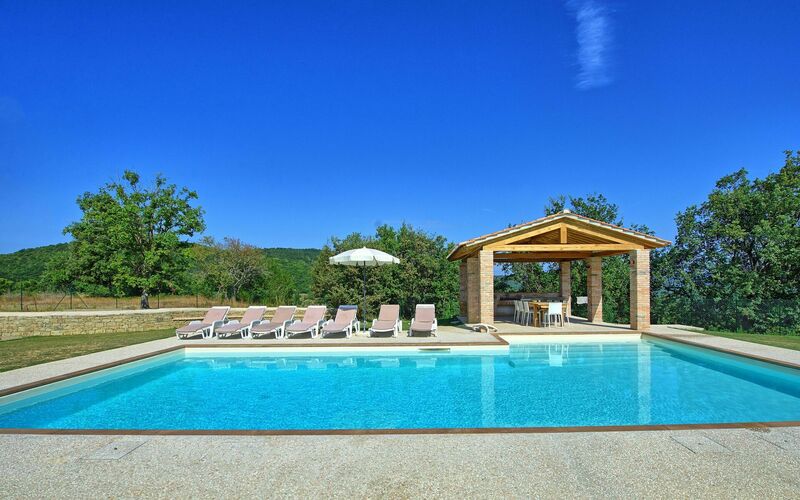 Available to guests: large outside space entirely fenced, private swimming pool (10 x 6 m – minimum depth 1.2 m – maximum depth 2 m), porch area near the pool furnished with table and chairs for outdoor dining. 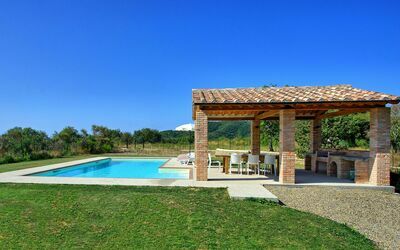 The villa has Wi-Fi internet connection. 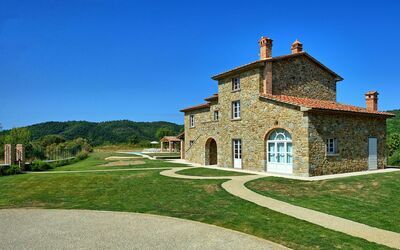 Parking on the property. Air conditioned rooms. 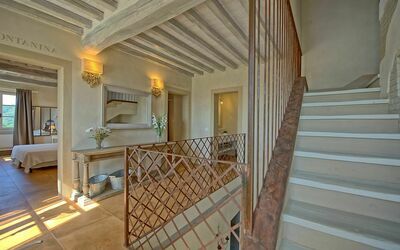 Access to the villa is via a stretch of 1km of good condition dirt road, suitable for all vehicles. Distances: Castiglion Fiorentino (wide variety of shops) – 7.5 km, Cortona - 20 km, Arezzo - 21 km, Lago Trasimeno - 35 km, Montepulciano - 46 km, Pienza - 52 km, Montalcino (home to the famous wine “Brunello di Montalcino”) - 70 km, Perugia - 72 km, Siena - 75 km, Firenze - 100 km, Orvieto - 110 km. Ground floor: entrance, living room with fireplace, Satellite TV, kitchen (fridge-freezer, oven, dishwasher) and dining area, bathroom with shower, laundry room with washing machine. 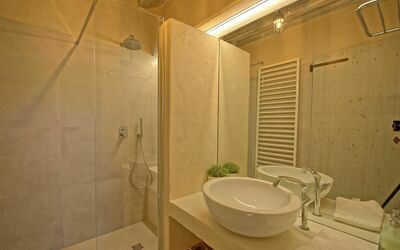 First floor: double bedroom with private bathroom with shower and hydro-massage bath, double bedroom (upon request the bed can be divided into 2 single beds), bathroom with shower, double bedroom with private bathroom with shower. 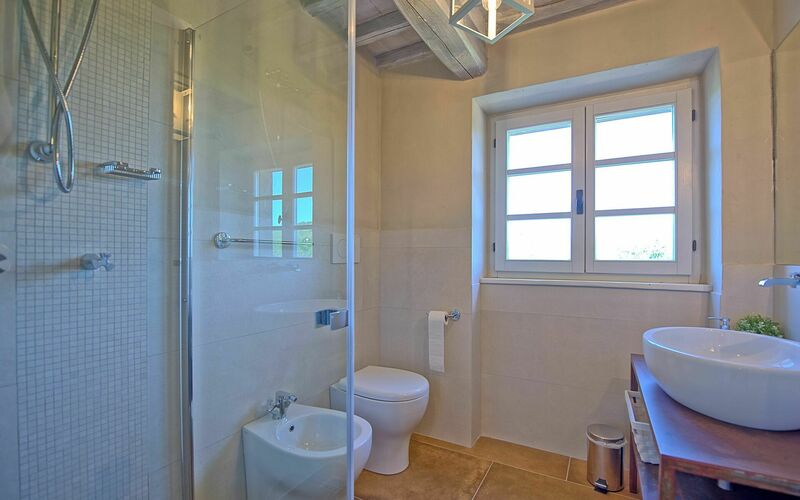 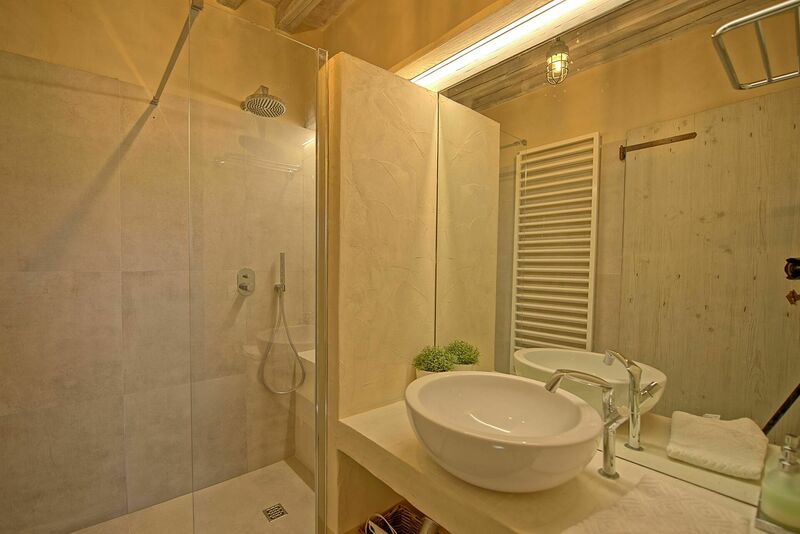 Second floor : double bedroom with walk-in wardrobe and private bathroom with shower. Ground floor: entrance into living area with dining area and kitchenette (oven, fridge-freezer, dishwasher). 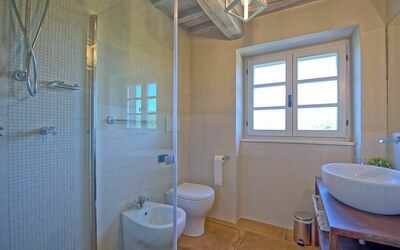 First floor: twin bedroom (opens over the area below) and bathroom with shower. 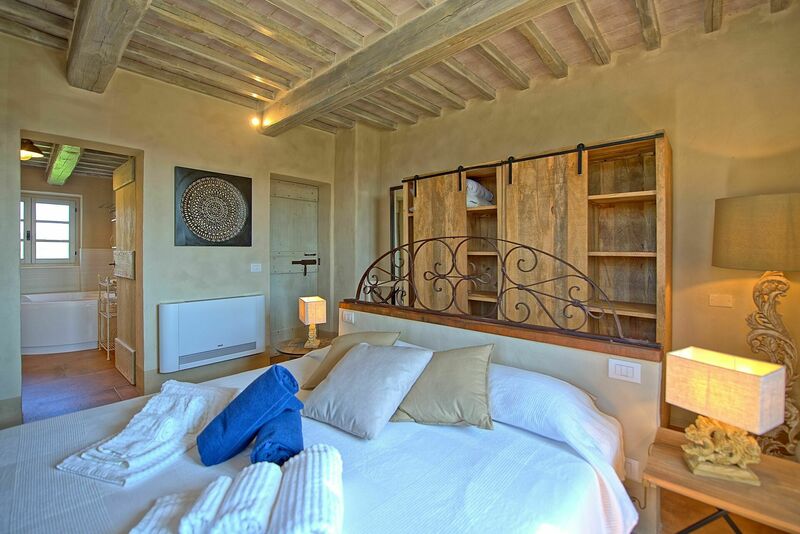 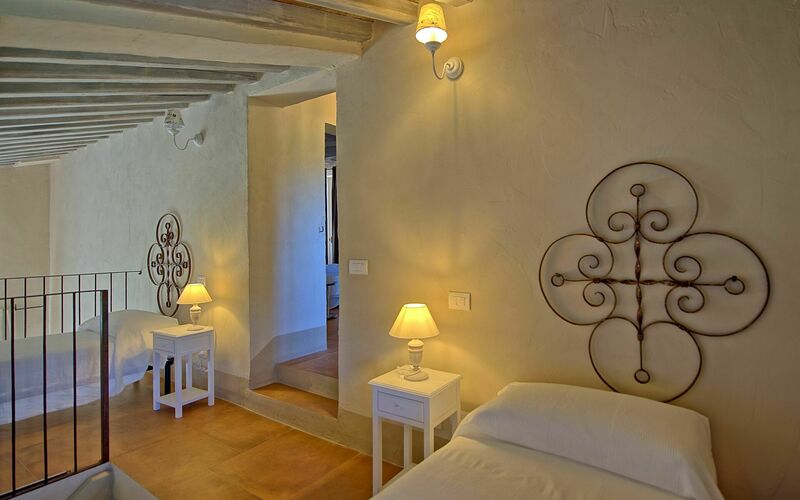 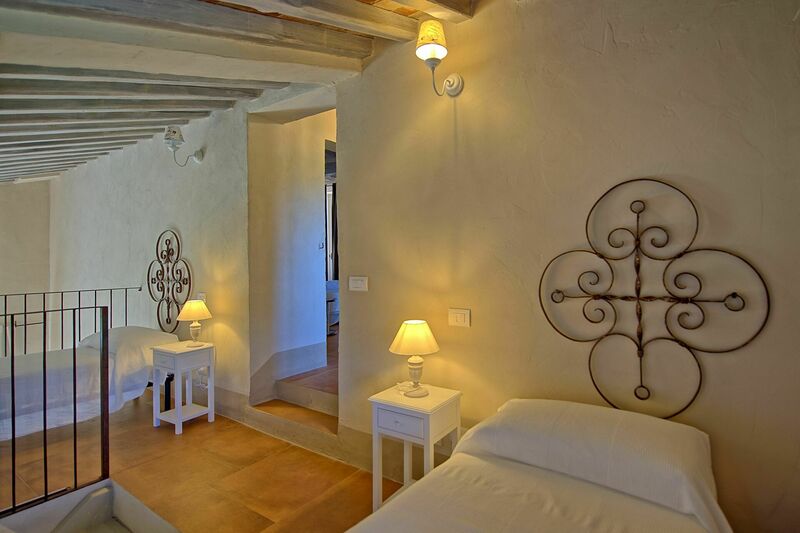 This bedroom can be made linked to the main house via an internal door which connects with one of the double rooms described on the second floor of the main villa. Dec 21, 2019 Jan 04, 2020 Any 4 € 400 n.a.